THE HOLY Gita Jayanti, or the birthday of the Bhagavad Gita, is celebrated throughout India by all the admirers and lovers of this most sacred scripture on the eleventh day (Ekadashi) of the bright half of the month of Margaseersha (December-January), according to the Hindu almanac. It was on this day that Sanjaya narrated to King Dhritarashtra the dialogue between Sri Krishna and Arjuna, and thus made the glorious teachings of the Lord available to us, and to people of the world, for all time. The Gita is the most beautiful and the only truly philosophical song. It contains sublime lessons on wisdom and philosophy. It is the "Song Celestial". It is the universal gospel. It contains the message of life that appeals to all, irrespective of race, creed, age or religion. The Gita was given to us about six thousand years ago by Sri Krishna, the Lord incarnate, through His most devoted disciple, Arjuna. Its teachings are based on the sacred Upanishads, the ancient, revealed metaphysical classics of India. The Gita shows a way to rise above the world of duality and the pairs of opposites, and to acquire eternal bliss and immortality. It is a gospel of action. It teaches the rigid performance of one's duty in society, and a life of active struggle, keeping the inner being untouched by outer surroundings, and renouncing the fruits of actions as offerings unto the Lord. The Gita is a source of power and wisdom. It strengthens you when you are weak, and inspires you when you feel dejected and feeble. It teaches you how to resist unrighteousness and follow the path of virtue and righteousness. The voice of the Gita is the call of the Supreme. It is the divine sound explained. The primal source of all existence, all power, is the manifested sound—Om. This is the Divine Word. It is Nada Brahman, whose unceasing call is: "Be ye all ever merged in the eternal, unbroken, continuous consciousness of the Supreme Truth." This is the sublime message that the Gita elaborates and presents in all comprehensiveness and in a universally acceptable form. It is this message of the Gita that I wish to recall and reproclaim with emphasis to you. To be always conscious of the Divine, to ever feel the Divine Presence, to live always in the awareness of the Supreme Being in the chambers of your heart and everywhere around you, is verily to live a life of fullness and divine perfection on earth itself. Such a constant remembrance of God and such an attitude of mind will release you forever from the clutches of illusion and free you from all fear. To forget the Supreme is to fall into illusion. To forget Him is to be assailed by fear. To live in unbroken remembrance of the Supreme Truth is to remain always in the region of light, peace and bliss, far beyond the reach of illusion and delusion. Mark carefully how the Gita stresses again and again this lofty message. The Lord declares: "Keep thou thy mind in Me, in Me place thy reason". In another verse He says: "Therefore, at all times remember Me and fight. You will surely attain Me, having thus offered yourself". And yet again: "Perform thou action, remaining united with Me at heart". The Gita guides you to glory with the watchwords: "Be thou divine-minded, devoted to Me as your goal, and let your subconscious mind be divine". The Lord gives the following firm assurance also: "I become the saviour from this mortal world for those whose minds are set on Me". Such is the most illuminating message of the Gita, seeking to lead man to a life of perfection even while performing his ordained role here. Long has this message been neglected by man. Forgetting the Lord, the world has turned towards sense indulgence and mammon. A terrible price has been paid. O man, enough of this forgetfulness! The Lord has warned you against heedlessness: "If, out of egoism, thou wilt not hear, then thou shalt perish". It is a matter of great regret that many young men and women of India know very little of this most unique scripture. One cannot consider oneself as having attained a good standard of education if one does not have a sound knowledge of the Gita. All post-graduate knowledge, all research in universities is mere husk or chaff when compared to the wisdom of the Gita. Live in the spirit of the teachings of the Gita. Mere talks or lectures will not help you in any way. Put into practice the teachings of this most sacred scripture and attain eternal bliss and peace. 1. "Uttering the one-syllabled Om, the Brahman, and remembering Me, he who departs, leaving the body thus, attains the Supreme Goal". 2. "It is meet, O Lord, that the world delights and rejoices in Thy praise; the demons fly in fear to all quarters, and all the hosts of Siddhas bow to Thee!" 3. "With hands and feet everywhere, with eyes, heads and mouths everywhere, with ears everywhere, He exists in the world, enveloping all". 4. "Whosoever meditates on the omniscient, ancient ruler of the whole world, minuter than an atom, the supporter of all, of form inconceivable, effulgent like the sun, such a one goeth beyond the darkness of ignorance". 5. "They, the wise, speak of the indestructible Asvattha, having its roots above and branches below, whose leaves are the metres or hymns; he who knows it is a knower of the Vedas". 6. "And I am seated in the hearts of all; from Me are memory and knowledge, as well as their absence. I am verily that which has to be known by all the Vedas; I am indeed the author of Vedanta, and the knower of the Vedas am I". 7. "Fix thy mind on Me; be devoted to Me; sacrifice to Me; bow down to Me; having thus united thy whole Self with Me, taking Me as the Supreme Lord, thou shalt verily come to Me". Take a resolve on Gita Jayanti that you will read at least one discourse every day. Recite the fifteenth discourse before taking your meals. 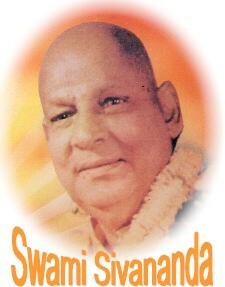 This is done at the Sivananda Ashram. Keep a pocket-sized edition of the Gita with you at all times. Mark a few verses in it which inspire you. Everyday, while you wait for your bus or train, or whenever you have a little leisure, pull out the book and read these verses. You will be ever inspired.